Samuel B. Strohbehn has extensive experience as both a transactional and litigation attorney. The recipient of Martindale’s highest AV®-Preeminent™ rating, Mr. Strohbehn serves as Co-Chair of Klinedinst’s Intellectual Property Department, and previously served as Section Chair of the Intellectual Property Section of the San Diego County Bar Association. 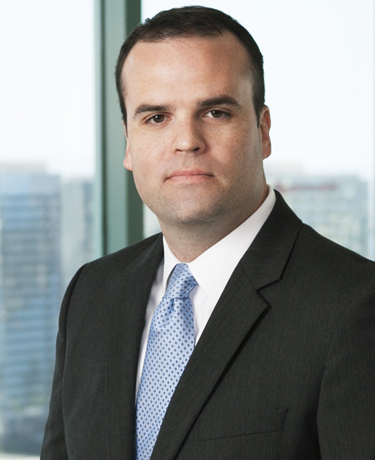 Mr. Strohbehn also has the privilege of serving as general counsel to numerous industry-leading Southern California businesses. His practice focuses on providing shrewd and concise legal counsel to empower his clients’ businesses and prevail in litigation. As outside general counsel, Mr. Strohbehn provides both discrete transactional services to his clients as well as more general counseling on issues such as employment, contractual negotiation or dispute, corporate compliance and structuring, etc. Mr. Strohbehn’s transactional services include prosecution and enforcement of worldwide copyright and trademark portfolios and advice concerning corporate and employment issues. Mr. Strohbehn routinely negotiates software and apparel agreements with Fortune 500 companies concerning household consumer brands. He also provides compliance advice concerning issues of privacy and data security, as well as internal intellectual property and corporate compliance audits. Mr. Strohbehn’s clients include apparel and cosmetic manufacturers, software and app developers, ecommerce businesses, and educational and fitness companies. In addition to transactional matters, Mr. Strohbehn has found success litigating a broad range of matters for plaintiffs and defendants in both state and federal courts. Mr. Strohbehn has significant experience handling litigations involving intellectual property infringement and enforcement, product liability, professional liability and officer liability, business tort and contractual disputes. He also regularly represents clients’ trademark interests in matters before the Trademark Trials and Appeals Board and serves as local counsel for patent litigations. A native of Kansas, Mr. Strohbehn attended the University of Southern California and Washington University in St. Louis School of Law. While in law school, he served as Chair of the Student Honor Council. He has been licensed to practice law in California since 2008.